Yesterday, I posted about my New Years Resolution. 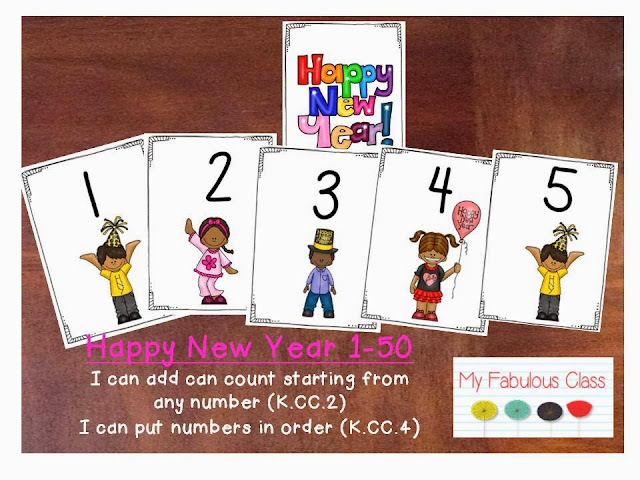 Now, I have to share my New Years Kindergarten Math and Literacy unit with you. It has a great balance between reviews skills and new skills, which is perfect for the first week after break. 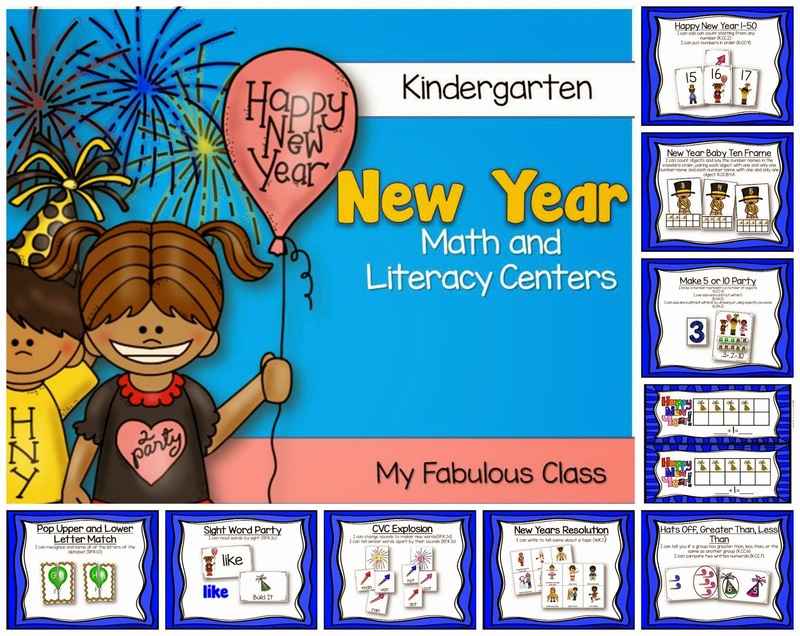 It has 4 Math Centers and 3 Literacy Centers. 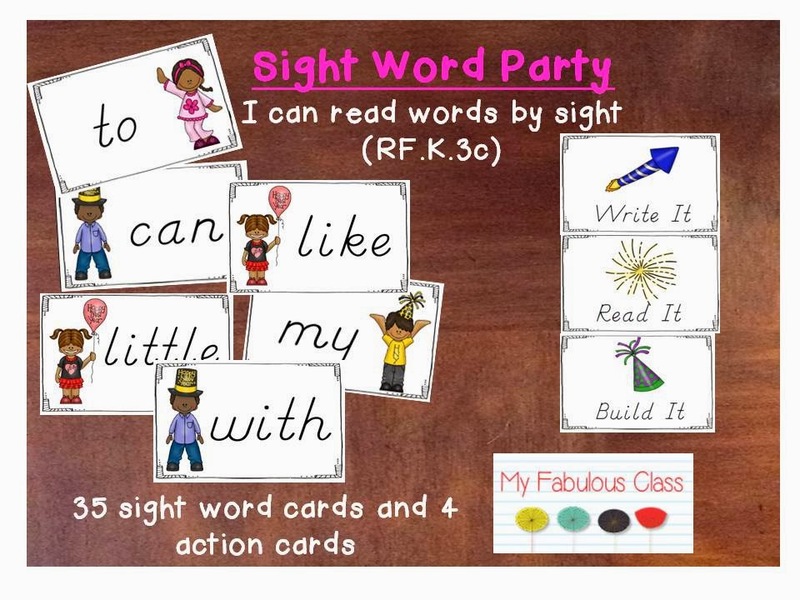 Each center has an I Can card which tells the standard being taught. In math, students can work on number order and number recognition with the number cards 1-50. 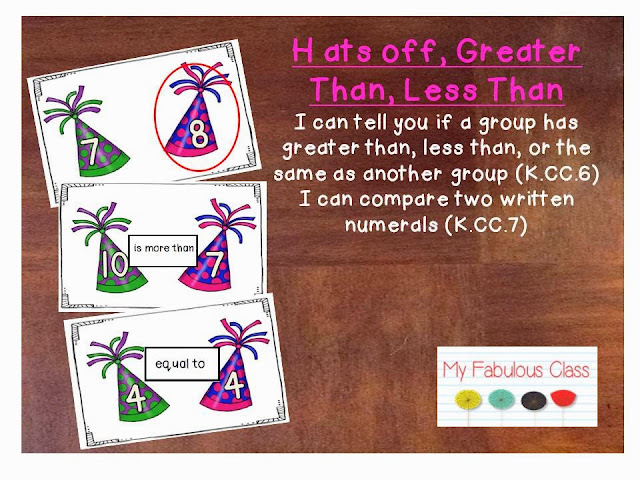 There are four different special cards that you can hide behind the cards to practice number recognition. 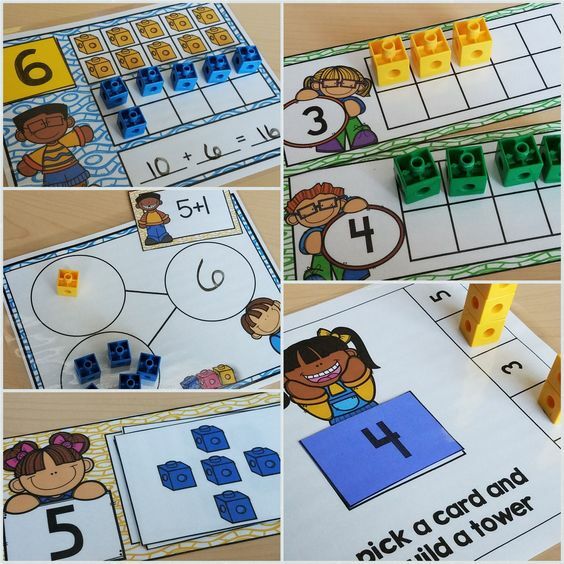 For comparing numbers, there are two activities. 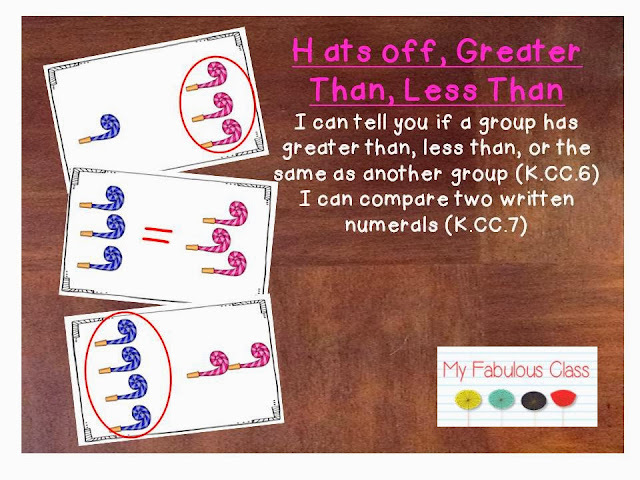 One is for comparing quantities and one for comparing numerals. 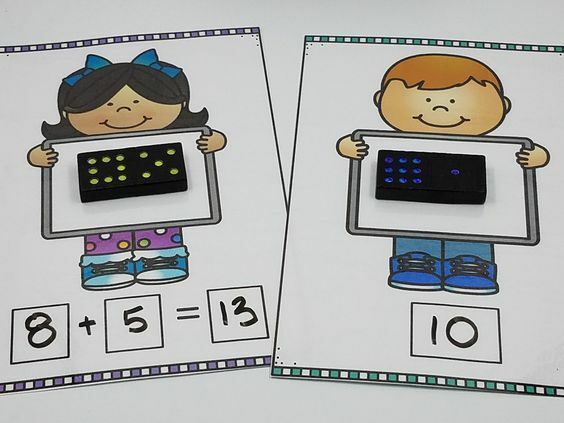 Students can circle the larger number with a dry erase, or for you more advanced students, the are word and sign cards students can place on top. One of the funnest games is the 10 frame. There is a blank one for quantity or students who may not be ready to write numbers. There are boards that allow student to write the number sentence for addition to five, addition to 10, subtraction from 5, and subtraction from 10. The boards are blank frames and there are two colors of hat counters. The last math game is plus one. I forgot to take a picture of it.Students get a ten frame with a number on it. They add one more and write the number equation. 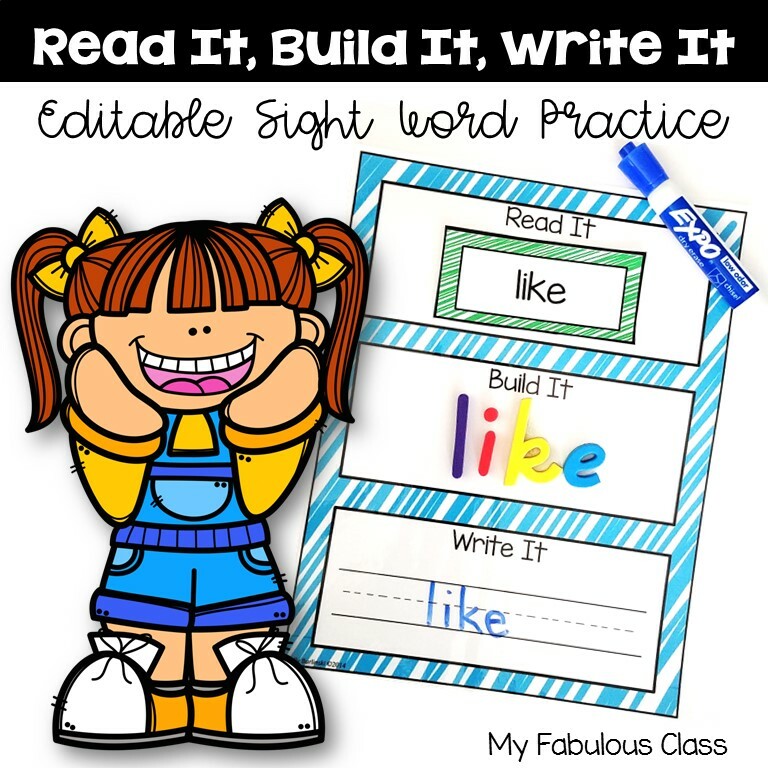 In Literacy, students can practice reading, building and writing 36 sight words. 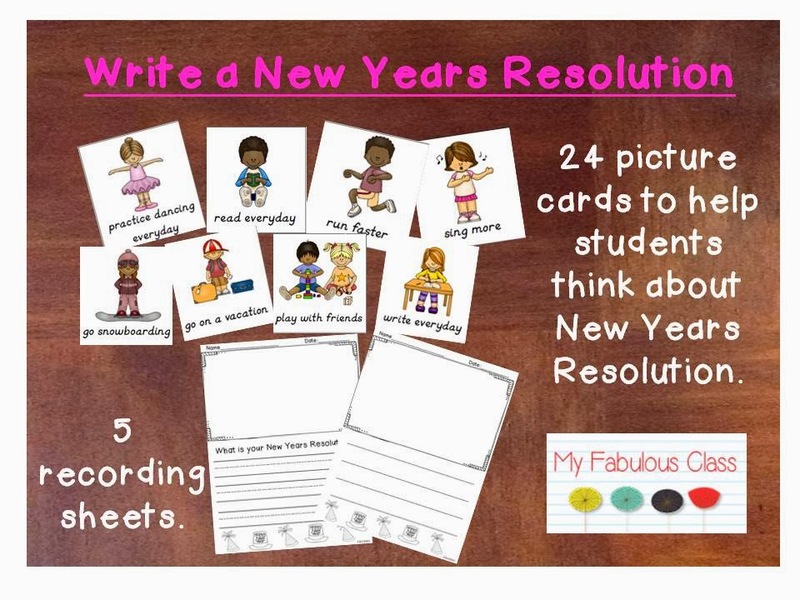 Students can draw a word card - I recommend a cute New Year Hat-and an action card. I usually have students write on a dry erase board and build it with magnets. If students can complete their action card, they get to keep the card.The 4th card is a game over card. Students count the number of cards they read. Who ever has the most wins. This is a cute game for reading CVC words. 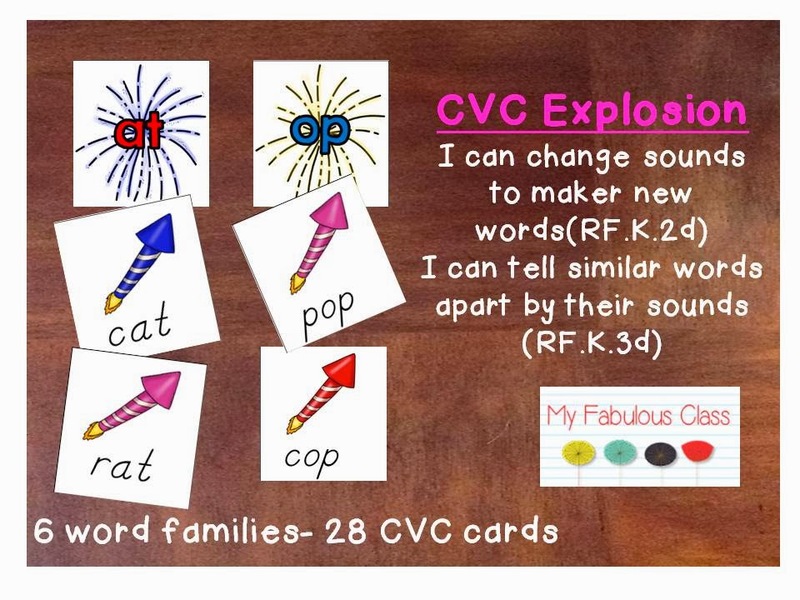 Students lay out 3 or 6 word family cards. Then they sort out the fireworks. This game comes with a recording sheet too. I am so EXCITED to write New Years Resolutions with my Kinders.To help them out, I plan on first reading Squirrel's New Years Resolution. If you don't have that book, you can watch it on YouTube. 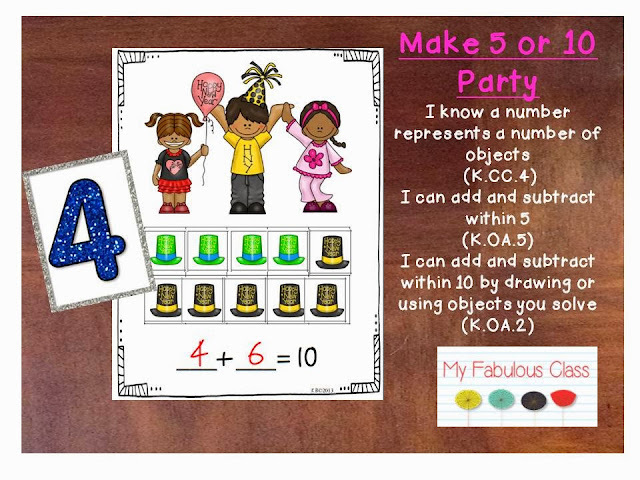 I have included 24 picture cards that are perfect for getting those little brains thinking. I will post lots of pictures when we complete this one! You can buy this entire unit by clicking on the picture below or you can WIN IT. To WIN IT, follow me on Pinterest and leave a comment about your New Years Resolution AND your email below. I will pick someone at random. UPDATED: January 2015. 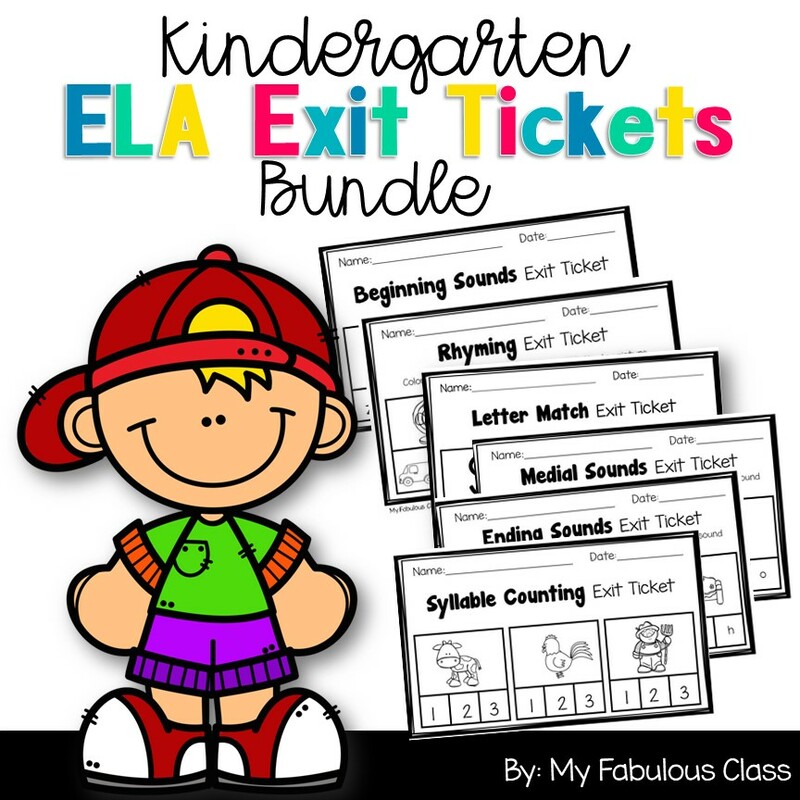 New fonts and new centers added. My New Year Resolution is to start exercising and to improve on my organizational skills. Awesome packet!!! I would love to win a copy to use with my kinders. Thanks a million. My resolution is to start reading more and get organized. The TPT forum connected us. Cute blog! I don't usually make resolutions, but I guess I will try to help make my family healthier (eating choices) this coming year. My New Year's resolution is to take a little more me time. Sometimes I forget to not try and be a super mom, super wife, super teacher, super woman. Most times I forget that I need to take care of me, too! Love the unit! It looks awesome!